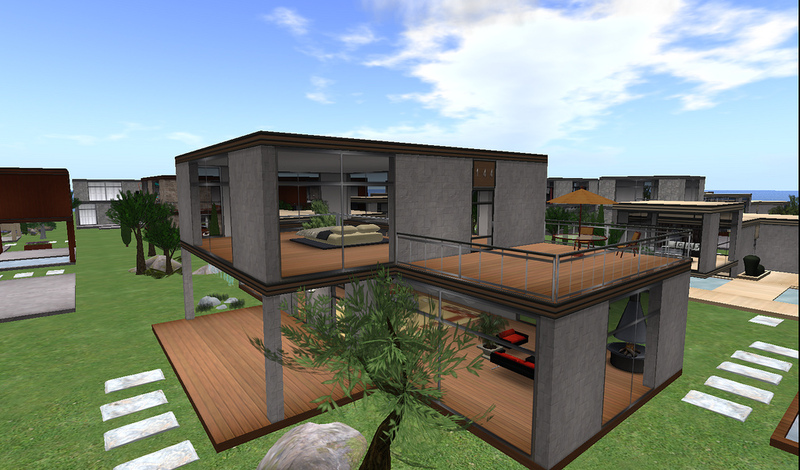 In response to surveys of residents in Second Life®, Linden Labs made available to residents with paid accounts a home on a small piece of property. I can’t stress enough how cheap it is to have a paid account ($72 yr), for which you receive a weekly stipend of L$300, and now a home. You can be a landowner–well, you always could with a paid account, but finding the right property with acceptable neighbors and in the right location and then doing all the upkeep–it just wasn’t worth it to many of us. 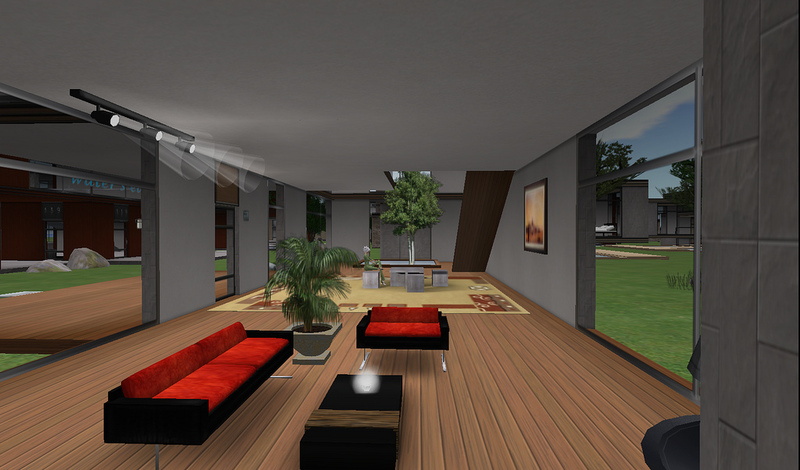 So Linden Labs became a housing developer, creating acres and acres of prefab homes–you choose the style and model and give the home a name. It’s a great idea and you will see here the home I picked and furnished. We are limited to 117 prims to add to the property, so decorating must be carefully done. I would have liked to keep my SL cat, Mr. Milo in the house, but he is 54 prims, and that’s half my allotment. We can’t build skyboxes, either, which may bother some, but it’s not important to me. 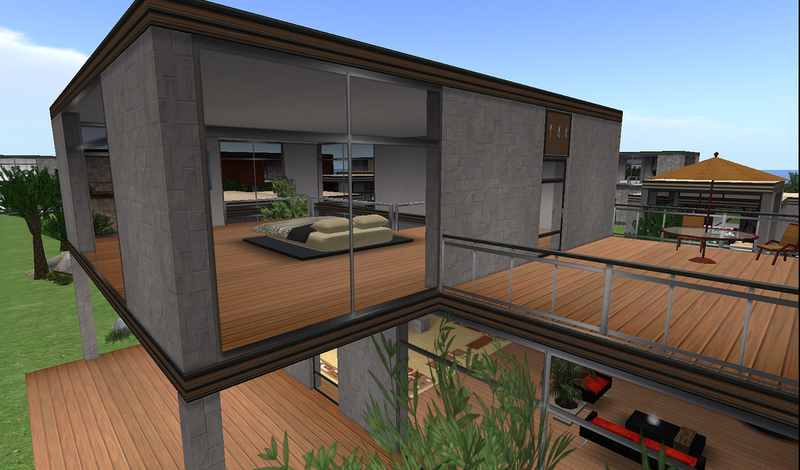 The idea of your own home just adds to the sense of presence you have in Second Life. Hard to explain, so I suggest you try it. Am I going to give you my address, so you can visit? I’ll have to think about that. Metaplace, the web-based virtual world that never got out of beta, announced its closing yesterday. I never really became engaged with its interface for a number of reasons, but it did seem to have caught on for those who learned to build there. I could never feel a sense of presence with my avatar–maybe because I couldn’t get literally close to it. It seemed more like a paper doll. And the worlds, themselves, or at least mine, were not naturally interactive. I couldn’t even imagine it being of interest to children. Another problem for me was that I could not explore it at work, because of a firewall–yes, it’s my job to do such exploration at work. Currently, I can only go to Second Life® at work, not Heritage Key or Reaction Grid or Quest Atlantis, without a formal request and temporary access. So, I couldn’t get a snapshot of my Metaplace world (Sangwin’s World) as it currently exists as I write, but here’s an older view that I will replace when I’m at home. Now, what am I going to do with that avatar name, Sangwin? Update 12/27/09: The second image is the current view of my Metaplace world, with the blue arrow pointing at my avatar. You can see how small it looks and how hard it would be to feel a sense of identity with it. You can zoom in, but the pixel quality is then poor. Based on experiences in Appalachian State University’s AET Zone, their own virtual learning environment, the authors describe how they maintain a pedagogy for student and faculty use of the space. Their Presence Pedagogy is a model of teaching and learning strategies that promotes a constructivist approach to learning through interactions, collaboration, etc. The space itself is described as “a visual metaphor . . . of the course content” (65). Terrific concept! Bronack, et al., remind us working in VWs that the space itself will not create community; attention must be paid to designing activities, creating tools that foster intereaction and reflection, creating situations where chance meetings can occur with both students and faculty. There is a lot that we can take from this article into our own SL spaces to make them work for our students.